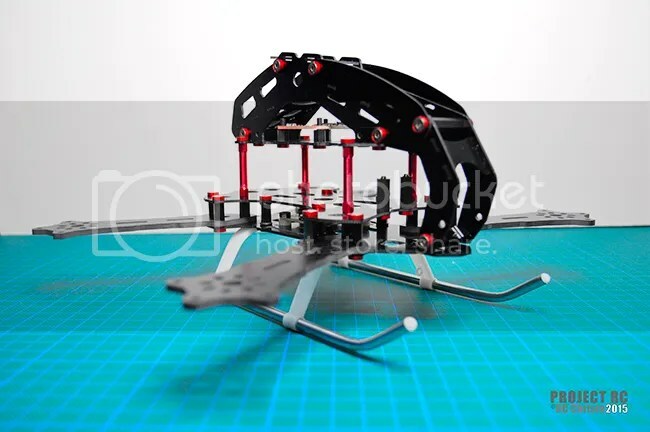 Over the last few years huge advancements in hobby grade technologies has spawned an expanding and highly competitive marketplace for manufacturers competing for the huge influx of consumers entering the multi-rotor market. This has driven the cost of this new technology to a level that is now affordable to people new to the hobby and experienced RC enthusiasts alike. One of the biggest developments has been “mini multi-rotors” which has enormous appeal due to their relatively inexpensive setup, operating costs, durability, agility and outright aerial performance. It is the natural evolution that these “mini multi-rotors” are driving todays immensely popular FPV racing scene. Multi-rotor RC aircraft have been around for more than a decade. Multi-rotor is a more general term encompassing not only quadcopters but also tricopters, hexcopters, octocopters and all other form of rotorcraft with more than 2 rotors. Quad racing involves remotely piloting a quadcopter (4 rotors) in between obstacles such as trees, buildings, gates, around a designated circuit at high speeds and low altitude. FPV stands for First Person View meaning that a miniature video camera mounted in the quad transmits the video signal to a monitor or video goggles that a pilot wears providing the immersive experience of being in the ‘pilots seat’ of the quad, seeing what the quad sees. The most popular sized racing quadcopter is 250 – 300 class. This represents the size of the quad, referring to the diagonal distance in millimetres in between two center points of opposing propellers. The level of technology and its rapid evolution within this RC segment is astounding. Hardware is becoming smaller but can do more. On board systems such as GPS, Multi sensors, and Sonar is creating ‘intelligent’ aerial systems that can autonomously adapt to variables. Developments in Video and OSD systems (On Screen Displays, similar to Head-Up-Displays as seen on fighter aircraft), is creating more immersive experiences for pilots. FPV racing quads are a glimpse of the future potential of RC’s. It has taken many months of research and finally I have decided to enter the exciting world of quad racing. This custom build project will document the assembly procedures, possible modifications, systems configuration and flight testing of my first racing quadcopter. I am still in the process of learning the complex systems involved which is challenging but also exciting in anticipation of the outcome. I spent several weeks researching through the vast selections of 250 – 300 class racing quadcopters that are available. I discovered that there were three methods of approach when initially deciding on a quad. One, you can purchase a fully assembled quad complete with all the systems installed and Ready To Fly (RTF), Two, you can assemble one yourself from a preconfigured bundle, a ARF kit (Almost Ready to Fly) or Three, a completely self-configurable quad where you select the various components individually and assemble and build the quad from the ground up. Initially I found the first approach attractive as I would have the quad ready to go and would take the least time to be airborne. At that time my knowledge of the systems was very limited so self-assembling the complex systems also appeared daunting. Then I began to consider that if I only had limited knowledge of the systems, would I be able to utilise the quad to its full potential? Would I be able to really understand how the complex systems worked and make necessary repairs or complex modifications? This prompted my decision to build and learn from the ground up. In general I prefer to build all my RC projects from cars to heli’s, as I gain a deeper understanding of all the systems involved enabling me to make informed decisions with repairs or modifications and find the process highly rewarding. So began weeks of research into every component and system that a racing quad uses, learning what the systems are, how they work, and why they are needed. There are 12 key elements of a FPV racing quad. From my understanding, the Flight Controller (FC) is the most important element of the quad as it controls all the connected systems to enable your quad to fly. The FC comprises of physical hardware, control firmware and configuration software. Learning this system was a priority before anything else. Understanding how the FC works took weeks but the result was that I now understood the fundamentals of the FC. What the different FC’s were, how the other elements worked, system compatibility and integration and what componentry I should use for this build. After the challenge of learning the FC, understanding all the other systems fell into place and was much easier in comparison. This process helped enormously in making informed decisions on what to purchase. I cannot emphasise enough the importance and value of taking the time to thoroughly research from multiple sources, actual experienced quad pilots, multiple forums, dedicated OEM websites, before deciding on a quad or componentry. The consumer is spoilt for choice but buying blindly is unwise and at your peril. What may seem as an inexpensive kit or component and a great buy at the time may turn out to be of sub standard quality or incompatible with other systems causing build issues which results in you spending more money to get the right component. Inversely what may be expensive suggesting high quality may be the complete opposite and a lesser priced system could yield better and more cost effective results. This build article will describe the particular steps and procedures I took for this custom quadcopter build. Contained within are additional links to sub-articles discussing the various elements and components in greater detail as I progress through the various stages of this build. Please click on the links below for a more detailed explanation on the specifics of the various stages. Thank you for checking out this article. This custom build is a work in progress so more updates are to follow. I hope it helps readers with some ideas on their next build. If you have questions or need some advice on a particular stage feel free to write a comment below and I will answer them.